Well, have you seen it? You know! The new Disney Dumbo movie! It came out in theaters the end of March, so you have had plenty of time to see it, watch it again, this time holding back the tears (maybe! ), and then get pulled back again by your little ones to see it a third time. Now it’s time to plan a party! It’s hard to comprehend that the original Dumbo movie debuted in 1941! I wasn’t born yet, and my mother wasn’t even a twinkle in my grandmother’s eye yet! This is definitely a movie classic. Now, a new generation will be able to fall in love again with this revisited classic. Who can resist those large floppy ears? Now, let’s get this party started! 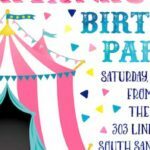 The classic carnival party is always one of the top performing parties on Kara’s Party Ideas. It is a colorful and eye-catching theme, and it appeals to all ages and genders. Are you planning a party around the theme of the new Dumbo movie? 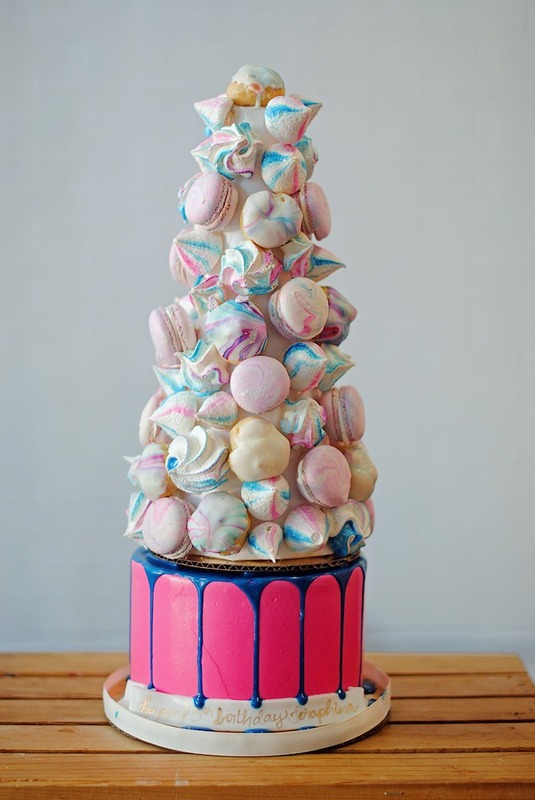 The first thing to consider when planning your party is one of the most important parts of the party–the cake! 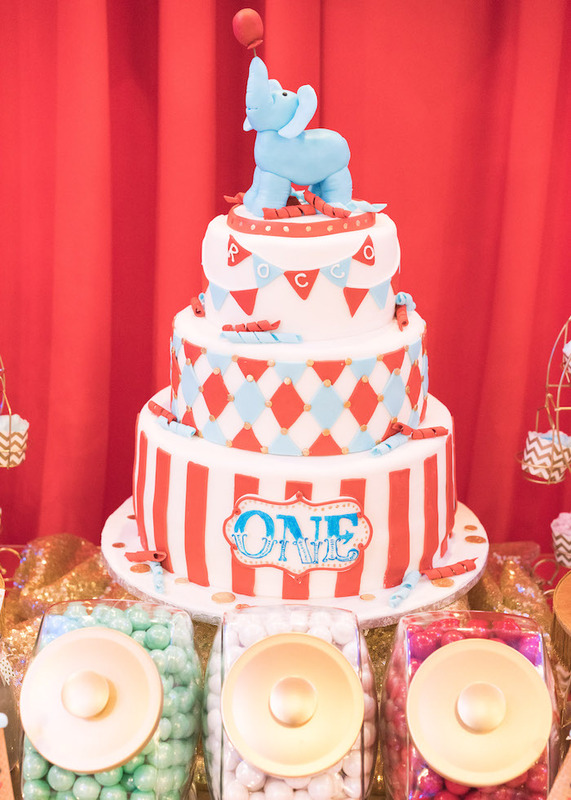 These Dumbo-inspired carnival party ideas and cakes are so gorgeous! 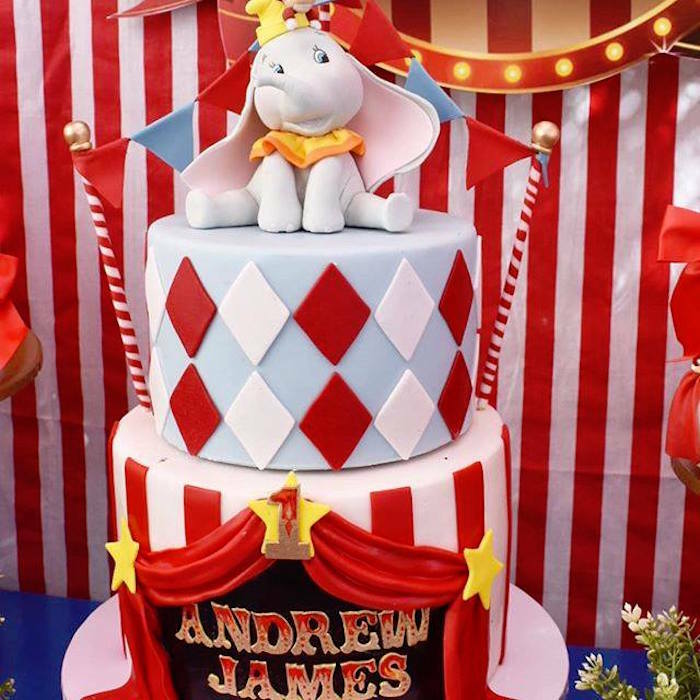 Dumbo sits atop this two-tier cake in this Dumbo Circus Party. The shapes and colors on this cake all contribute to this dumbo party cake. 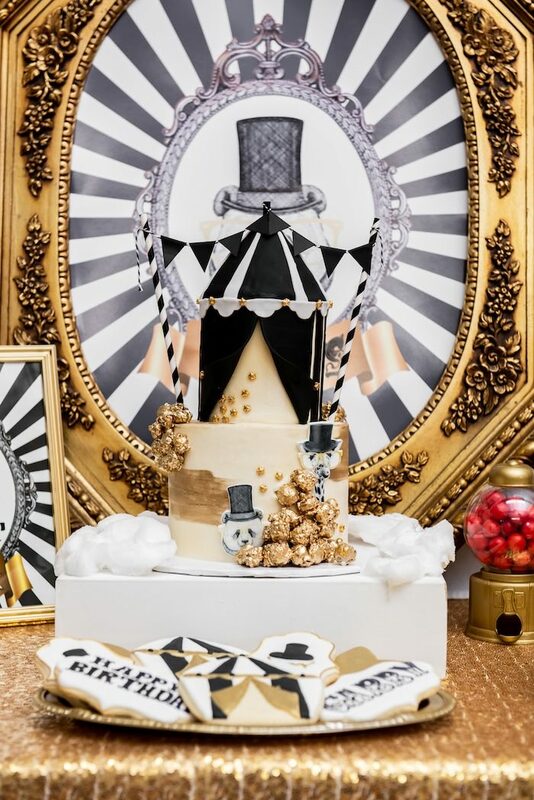 Pinks and golds abound on this jaw-dropping cake from this Girly Circus Dumbo Party. Look at Dumbo balance on the circus ball on this cake in this Dumbo Circus Birthday Bash! I also love the circus animal cupcakes and popcorn box cupcakes in this party. 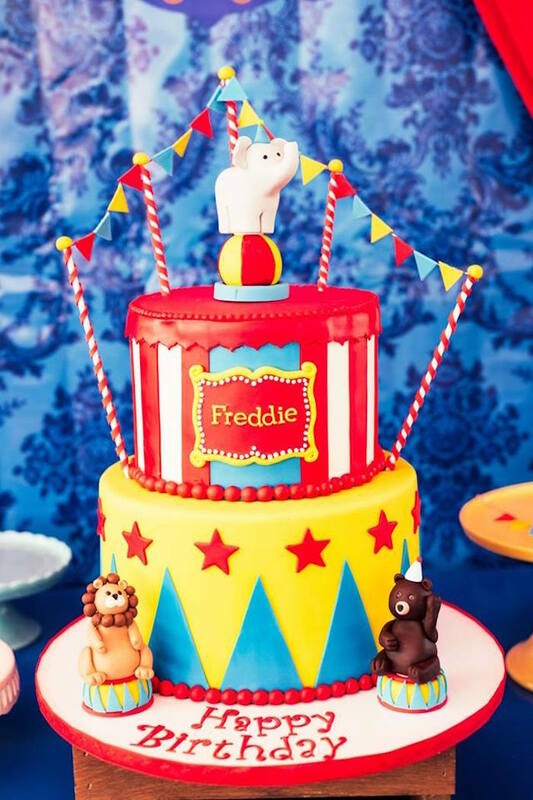 A sophisticated take on the Dumbo circus themed party cake is found in this Golden Circus Birthday Party! Wow! Look at Dumbo heading toward the peanuts scattered around this cake from a Circus Birthday Party! You could even replace the other animals with other Dumbo characters from the new Disney dumbo movie. 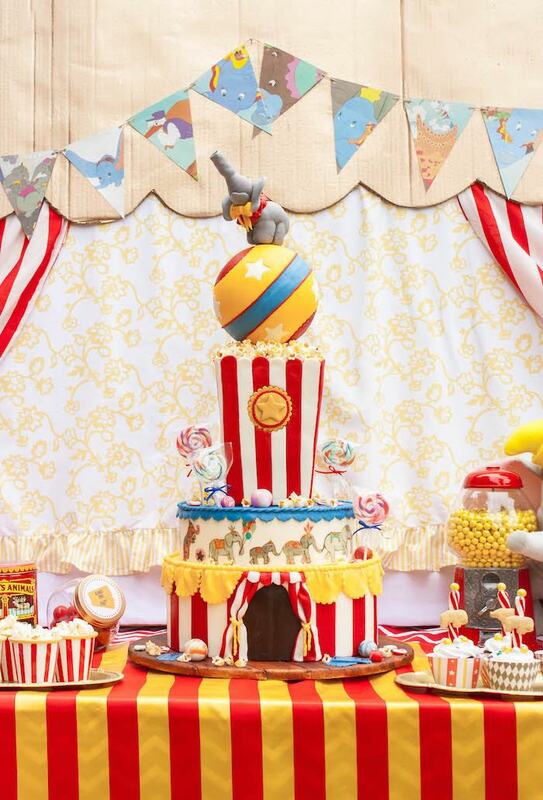 This dumbo birthday cake is surrounded by loads of candy jars in this Whimsical Circus Party! How fun! 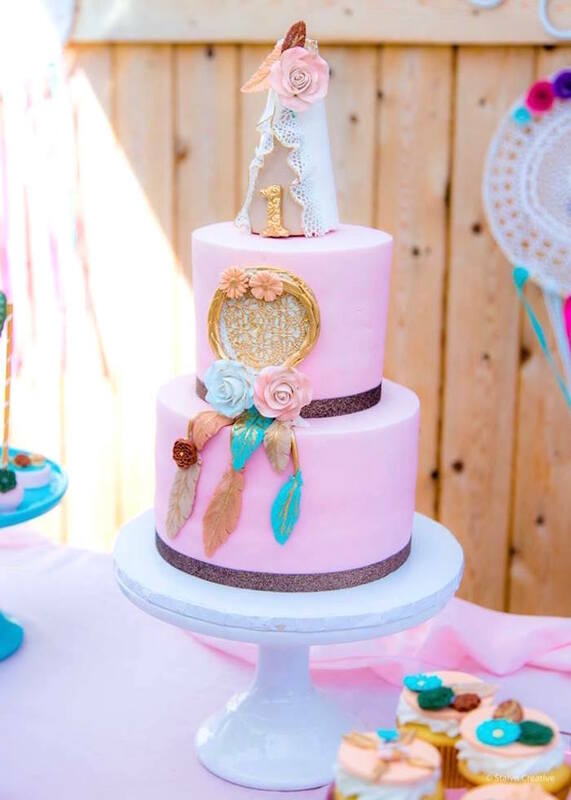 A unique take on the Dumbo themed cake comes from this Boho Circus Party. You don’t have to do a traditional style for your Dumbo birthday party. 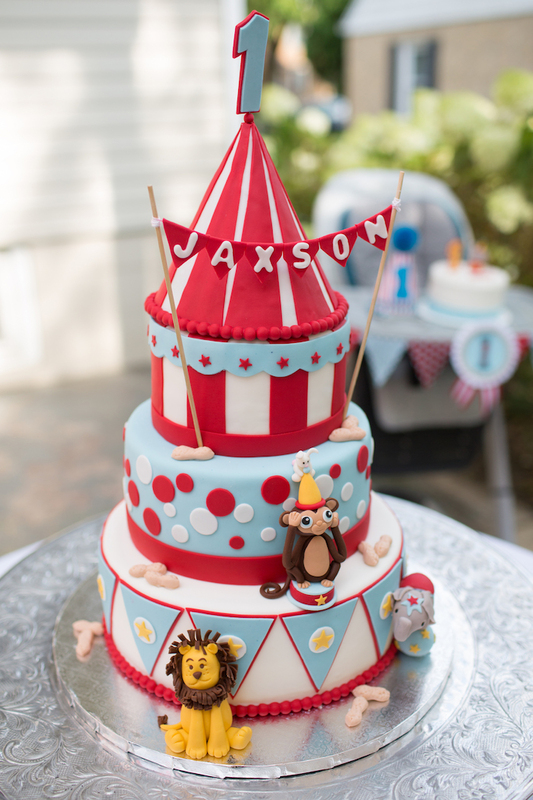 A traditional and fantastic take on the Dumbo theme comes from this The Big Top Circus Party! Don’t miss this one! 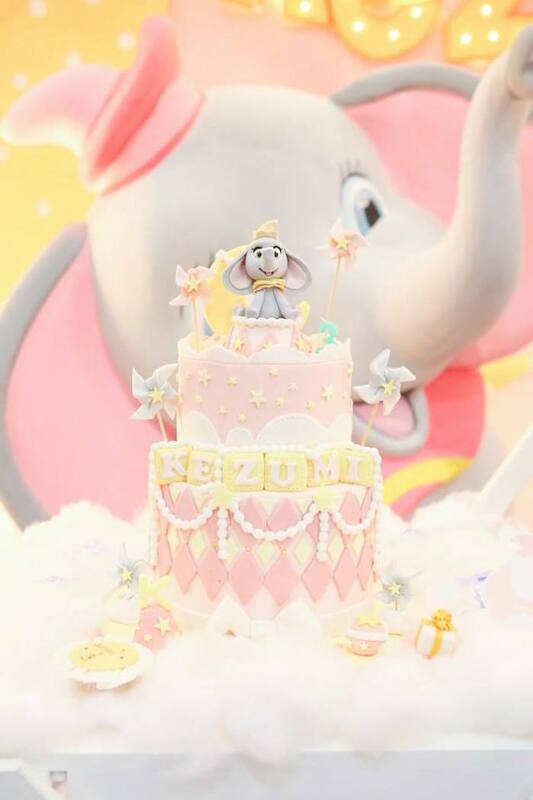 Another cake option comes from this Girly Carnival Party for a fabulous Dumbo birthday party cake! 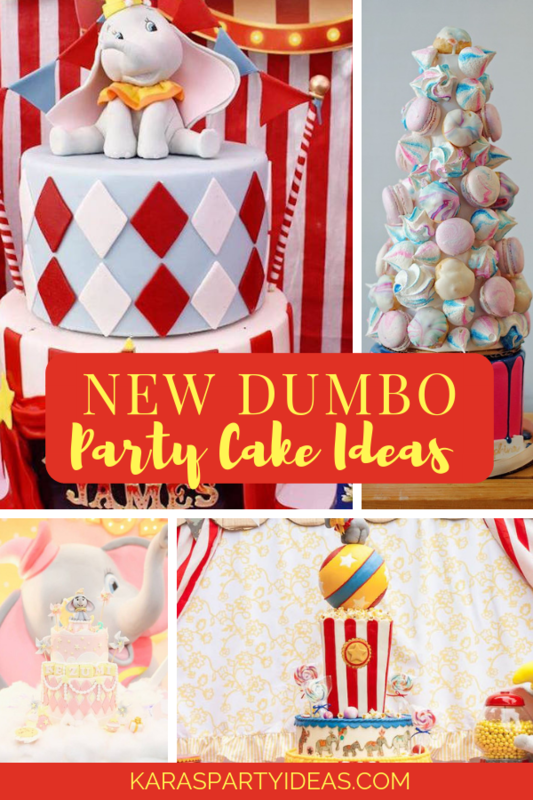 No matter what cake you decide on for your new Dumbo-inspired party, you can change the colors, size, details, and flavors to match your taste and party style. I can’t wait to see what you come up with for your party. Keep a lookout for more Dumbo party ideas coming soon! Featured Party of the Week: Greatest Show!